The unaudited month ending results for the CCHOA for December 2018 and the 6th month of the 2018/2019 year are enclosed for your review. The combined Reserve account is $7,347,111.35. The Reserve balance for last month, November 2018 was $7,107,230.05. The Reserve balance is more than the balance for November 2018. The Reserve balance for December 2017 was $6,446,143.57. The Reserve balance for December 2016 was $8,695,172.34 and for December 2015 it was $7,962,178.35. There are three major maintenance projects that the CCHOA is undertaking that will aﬀect the Reserves. The three Villages are Kingston, Antigua and Mardi Gras. As previously stated, all Villages are required by 2023/2024 to have 50% Reserve funding. The CCHOA is currently budgeting for 100% Reserve funding within a 30-year time frame. It remains the CCHOA Boards commitment that Reserves be adequate to insure that DEFERRED maintenance is not a consideration, unless there are no alternatives. Individual Village results remain similar with last month. There are 7 Villages that had higher expenses than that which was budgeted. Last month there were 8, so there is minor improvement. The culprits remain, water, legal, gas/electric, pest control and outside contractors. The rain has helped slightly with the water, but has added to water intrusion problems. A more detailed accounting can be requested from the CCHOA office. The CCHOA Board as well as staff are committed to ensuring that the HOA receives quality service for each of your dollars expended. 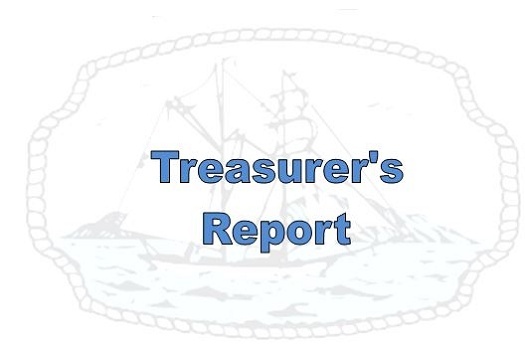 The Board as well as the Finance committee, and the GM/Controller, remain concerned about expenditures that exceed the funds budgeted. The Finance committee meets on January 22 at 9:00 a.m. to discuss budgeting. The Finance committee and the CCHOA Board as well as staff continue to monitor investments to insure that the CCHOA investments are as safe as currently possible. The first criteria is safety with yield second. The current investment rationale centers on a laddered approach to investing with a current one-year goal. There have now been 9 rate increases since December 17, 2015. Last month the FOMC raised the rate another 1/4% which brought the Prime Rate to 5.50%. The FOMC meets again on January 29/30, although currently the market is not anticipating another rate increase at this meeting. The CCHOA is currently ensuring that all funds waiting for invoices are drawing the best interest rate available to the CCHOA.